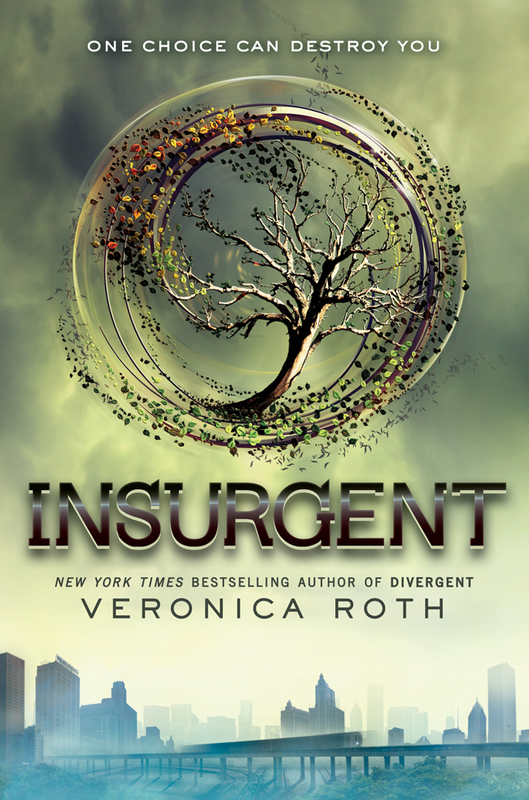 Summary from Goodreads: The faction-based society that Tris Prior once believed in is shattered—fractured by violence and power struggles and scarred by loss and betrayal. So when offered a chance to explore the world past the limits she’s known, Tris is ready. Perhaps beyond the fence, she and Tobias will find a simple new life together, free from complicated lies, tangled loyalties, and painful memories. But Tris’s new reality is even more alarming than the one she left behind. Old discoveries are quickly rendered meaningless. Explosive new truths change the hearts of those she loves. And once again, Tris must battle to comprehend the complexities of human nature—and of herself—while facing impossible choices about courage, allegiance, sacrifice, and love. Told from a riveting dual perspective, Allegiant, by #1 New York Times best-selling author Veronica Roth, brings the Divergent series to a powerful conclusion while revealing the secrets of the dystopian world that has captivated millions of readers in Divergent and Insurgent. I liked Allegiant. I didn’t devour it like I did Divergent and Insurgent. Why? Allegiant felt forced, too contrived, too long, too many plot points were resolved far too conveniently. The concept was solid, however it was too 1984 and The Chrysalids and even A Brave New World…it borrowed from many classics…which is alright, I mean can you really reinvent a genre? I also had a tough time buying that a sixteen year old girl could do what Tris does and behave as she does. I bought it in the first two novels, but in this one it seemed a bit far-fetched (mind you, I totally bought what Katniss Everdeen does in The Hunger Games trilogy). I also found that the characters didn’t grow. I really enjoyed the evolution of major and minor characters in books one and two. In book three all of the characters were stagnant. They were stuck in this perpetual dead-end search for freedom, for a life that was ripped away from them, for peace – both inner and social. It almost seemed as if Roth had more than one book left inside her and tried to mash it all into Allegiant. The plot didn’t read as tightly as the first two and I think that’s where she lost me. At first I thought the dual first-person narrative was a great idea. It was a chance to get into Tobias’ head, but after a while he and Tris sounded the same. I like the creativity of the story and its comment on the effects of the pursuit of perfection (genetic perfection). 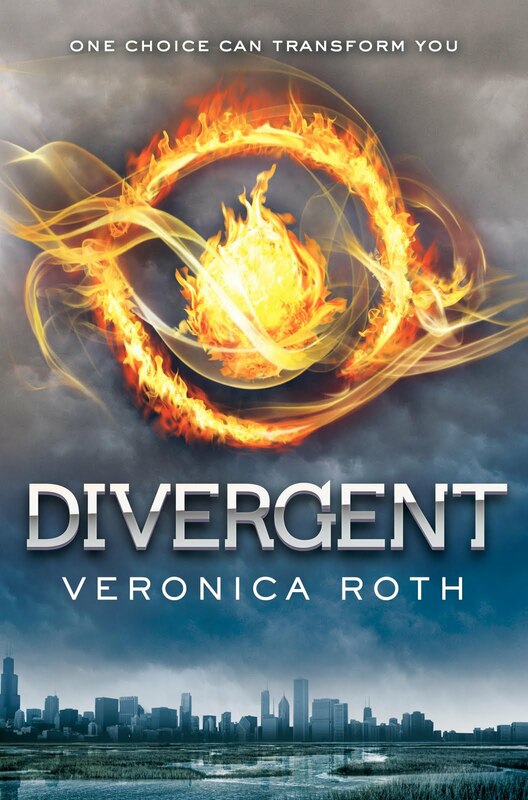 I like the relationship between Tris and Tobias – she captures the insecurities and passion that drive teen love. The teens act too much like adults though. On one hand it is understandable because they are forced to grow up quickly; on the other, it is not believable that they can be so in control of their feelings all the time. Overall, if you have started this trilogy it is worth reading Allegiant to give the story a conclusion. The book does provide a conclusion, it will not leave you hanging. I liked the end of the book. I thought it was appropriate given the nature of the characters. I just don’t think it will be the same fast paced, continually changing, fun experience that the first two books in the trilogy offered. Has the conclusion to a trilogy ever left you feeling less than excited? What did you recently finish? Voyager by Diana Gabaldon – read review here. What do you think you’ll read next? I hope to continue with Allegiant by Veronica Roth and so continue my Fall TBR. 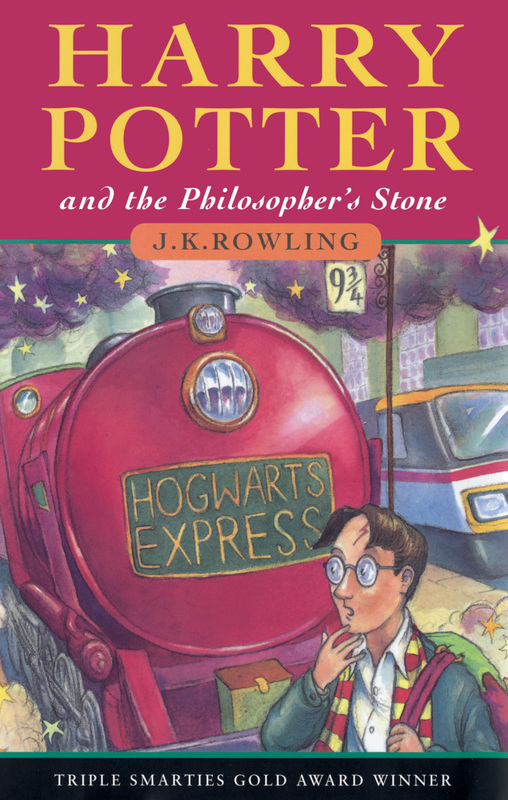 Reading Harry Potter with My Son – Can Life Get Any Better? My son is 4. He sits through long picture books and loves reading them over and over. We spend hours at the bookstore checking out new books (and toys, of course). I felt he was ready for longer reads, so I started perusing the 6-8 year old aisle – long, graphic books. We would read a few chapters and he loved them – but not enough to want to bring one home. One ordinary afternoon, I found him perusing my bookshelf. He started to ask me about the different books on it…what they were about etc. The conversation in itself was cool. Then, he found my Harry Potter books. He loved the cover since I own the children’s cover books. He heard me say “a boy who finds out he’s a wizard” and he was immediately sold. “Mommy, will you read it to me?” he asked, his big brown eyes melting me as usual. So, I did. We started slowly – there were way more characters than he was used to following. He interrupted frequently – trying to remember who was who and why Harry Potter didn’t just turn the Dursleys into frogs. Soon, reading sped up and we finished the book in under three weeks! They were the most magical few weeks I spent with him. He eagerly awaited bedtime reading, and when he couldn’t wait he accosted me asking me to read Harry Potter because he had to find out who the bad guy was and if Voldemort (sorry – “You-Know-Who”) was coming back. I loved re-reading Rowling’s work and living it through the eyes of my little boy. Sure, I glossed over the murder of a unicorn and subsequent drinking of its blood and I underplayed Professor Quirrel’s second face at the back of his head (Isn’t that funny sweetheart?) – but he sat through the whole novel, listened intently to descriptive passages and loved the idea of him possibly being a wizard too. We are now reading The Chamber of Secrets and every so often run around our yard playing Harry Potter. I knew I would do this one day with my child, I just didn’t think it would happen so soon. I look forward to reading the series with him (though, I think I’ll leave the later books for when he’s older). He shares a love of music with his father and I love that he can share a love of books with me. Every evening that we read and talk about our favourite parts I realize, that for me, those moments mean true happiness. What parts of you do you love to share with your children? Wow…It’s been a long, long time. I’m re-learning wordpress and feeling like a newbie. I haven’t stopped reading. I just can’t seem to get enough YA fiction. I picked up a few books that a few students recommended and ended up reading each series. Veronica Roth’s novels had me engrossed for the month of January. They were fast paced and fun to read. I am very interested in seeing how the movie brings this world to life and looking forward to reading the last book of the trilogy. I loved the strength and flaws of the protagonist – fun books. Every time I picked up Cassandra Clare’s City of Bones at the book store I put it down and opted for a more adult read. However, many of my students read the series and swore by it. They promised no Bella (whatever her last name is – from Twilight). I finally gave it a try. I can’t say I fell in love with it – but I found the concept intriguing. Also, it was the minor characters that most caught my attention and whose story I was most interested in. I found Clary a little whiny and annoying with her desire to show her strength and her complete inability to humbly accept that perhaps she isn’t equipped to handle every situation. And, then there’s the dark, brooding, gorgeous Jace. I did feel sympathy for him, but that was quickly quelled every time he made fun of Simon. I felt so sorry for Clary and Jace with the brother/sister story line – and rushed through City of Ashes because the whole idea was just plain gross. 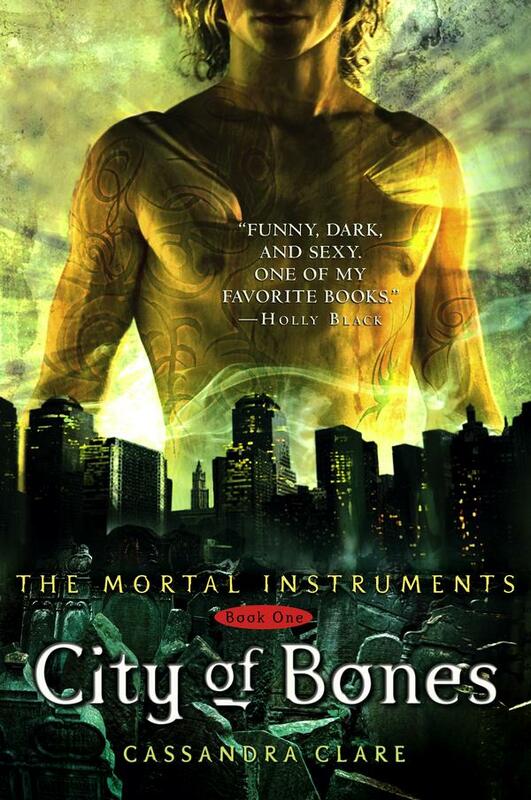 Then, I just had to read City of Glass to make sure they weren’t related and at that point I had to admit I was pretty hooked and had to see this thing through. I read all five books quickly and having fun every page of the way. 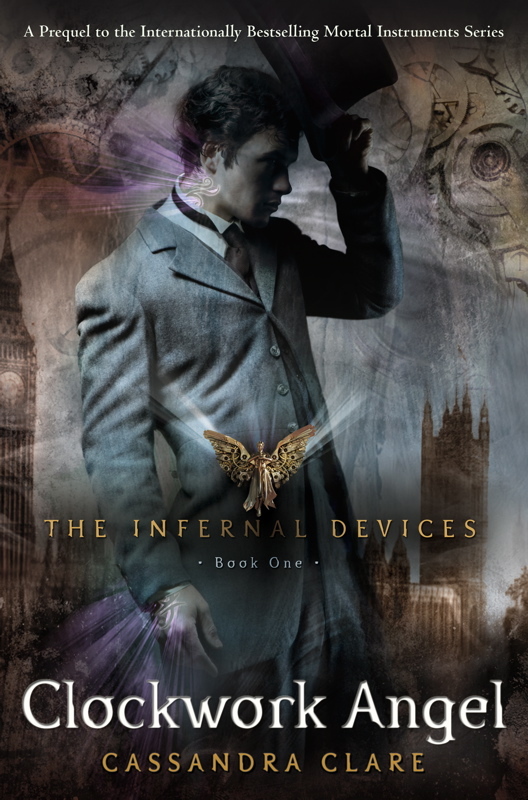 When I was left wanting more of the Shadowhunting world, I figured the next logical step (while I wait for book 6) was the Infernal Devices trilogy. 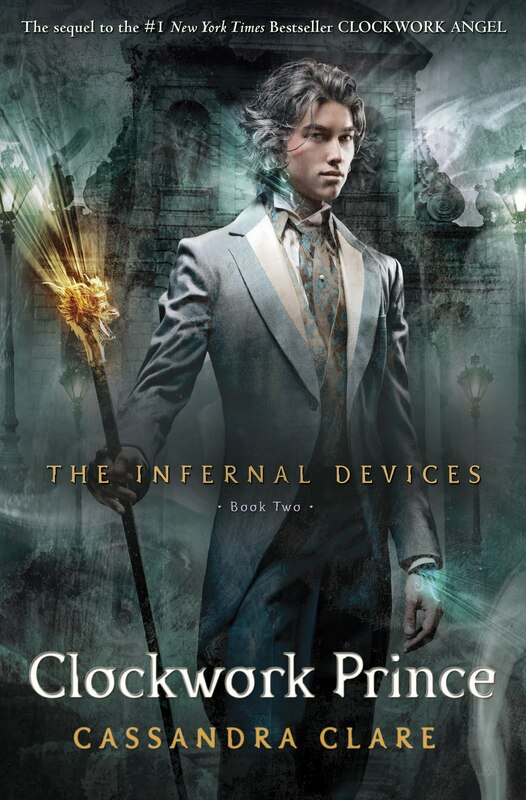 Clockwork Angel, Clockwork Prince and Clockwork Princess, in my opinion, surpassed the characters of the City of Bones books. The characters were more rich, the relationships more complex and the heroine just as strong in character as her counterparts. My students and I had some fun discussions around these books once curriculum talk was over. It was cool to connect these characters to the ones in the present-day setting of the Mortal Instruments. My only complaint, can Will Herondale really be that perfect? Really? All of these books are so much fun since they really tap into a girl’s awakening…as adolescent girls navigate their changing bodies, their emotional highs and lows, changing relationships with parents and friends and romantic love they learn their strengths, their limits, their beliefs and what they stand for. These books give voice to that confusing time in a girl’s life by packaging it all into a really fun fantastical adventure. The perfect boyfriend concept is what worries me…but I’m hoping readers are strong enough to see through that. What are you currently reading? Not much. After putting down the unfinished Fifty Shades of Grey I’ve lost my reading umph. What do you think you’ll read next?I need something fast paced and fun…perhaps the last book of Riordan’s Kane Chronicles or the book that follows Kristin Cashore’s Graceling.